The Community Biodiversity Monitoring Project, funded by a grant from the Rufford Foundation in 2011, aims to train community volunteers to effectively record and monitor key species in the Matobo area during their daily activities, such as walking to and from school. This will generate usable data for assessing distribution and abundance of species whilst raising awareness of conservation issues. It will link with other ongoing projects to provide training for National Parks staff in biodiversity monitoring, GIS skills and data management and analysis skills. 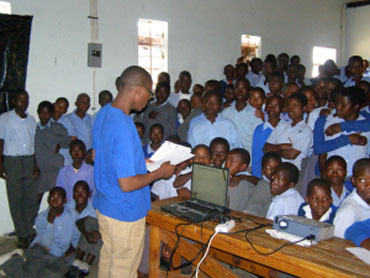 Community Education Officer Farai Mavhiya was employed in early 2012 and has set up biodiversity monitoring teams in five target schools around the Matobo National Park.